While his work has been the subject of extensive research in Germany in recent years, Eugen Fink has only ever received sparing exposure in English-language scholarship. Certainly much of this is due to the lack of English translations of his writings. The publication of Play as Symbol of the World (Spiel als Weltsymbol), considered by many to be Fink’s most important book, will hopefully give his work a wider audience outside of Germany and encourage the publication of more translations of his work. Fink was a student and collaborator of Husserl during the 1920’s and 30’s. He was also a working associate of Heidegger during the latter decades of Heidegger’s career. The stature of these two no doubt overshadows Fink’s contributions to phenomenology and twentieth-century German philosophy. Fink’s work is best-known to English-speaking audiences through his seminar on Heraclitus, co-authored with Heidegger (available in English under the title Heraclitus Seminar), and through his book on Husserl’s Sixth Cartesian Meditation. Fink also authored a highly original book on Nietzsche’s philosophy which appeared in English translation through Continuum Press in 2003. In the 2000’s, the German publisher Karl Alber began issuing a complete critical edition of Fink’s writings, of which Spiel als Weltsymbol is the seventh volume. This English edition from Indiana University Press, translated by Ian Alexander Moore and Christopher Turner, presents all of the contents of the seventh volume in the Karl Alber critical edition. In addition to the title essay are included several shorter pieces of Fink’s on the topics of play and cosmology that he wrote between 1957 and 1975, the year of his death. Bookending the writings by Fink are an extended translators’ foreword and an afterword by the editors of the German text, the latter of which presents an extensive overview of Fink’s philosophical program as it relates to Play as Symbol of the World. All in all, these various items make for a very fine, comprehensive edition of Fink’s text. In this review, I will focus on just the main, title work of the volume, as this portion will be of principal interest for most readers. The title Fink gives to this work, Play as Symbol of the World, requires some unpacking. As the book’s German editors note, Fink proceeds by attempting to describe, without prior assumptions, what connections obtain between the title’s main keywords: play, symbol, and world (303). One guiding thought for Fink is the oft-cited Fragment 52 of Heraclitus, which suggests that the cosmic aion is akin to the play of a child; the life cycle of the universe is a child moving pieces on a game board (77). (This fragment figures strongly into Nietzsche’s reading of Heraclitus, with which Fink was surely familiar.) Fink’s approach throughout is dialectical, somewhat Aristotelian even, as he works through the historical and conceptual puzzles bound up with the title’s theme. Scholars of Heidegger will notice a lot of similarity as well. Fink demonstrates a flair for deconstructing historical philosophical prejudice and dissecting the original meanings of terms. Much of Fink’s aim in the text is to arrive at a satisfactory phenomenological description of the relationship of play and world such that the book’s title can demonstrate any meaningful expression. What does it mean to call play a “symbol” of the world? Wherein lay the metaphorical similarity between play and world? And how is the notion of “world” to be understood? Why would one make such a comparison? In addition to the Heraclitean paradigm of cosmic play, other significant cues from ancient thought inspire Fink’s analysis. Fink frequently engages the Platonic conception of imitation and its underlying ontological commitments as a foil for developing a phenomenological view of play. Moreover, the entire third chapter of Fink’s book focuses on the development of cults and the manifestation of play in cultic ritual. In Fink’s account, the anthropology of primitive cultures indicates that play originated historically as a primal, cultic practice rather than as a vehicle for mere amusement or entertainment. The first of the book’s four chapters analyzes the concept of play systematically. Fink understands the term “play” (Spiel) in multiple guises; these correspond well to the common use of the word “play” in English. In English vernacular we often use the word “play” to refer to what children do when they amuse themselves. We tend to think of play as essential to a child’s healthy development. But “play” is also often used to describe engaging in a game (e.g. “I play chess”); or, more remotely, it names what we watch at the theatre as well as the “play-acting” performed by actors. In older locution for instance, actors were referred to as “players.” This older meaning reminds one that acting and theatrical performance were originally conceived as mimesis, or imitation. And of course, this is the Platonic critique of the performative arts: what they depict is not real, but rather a watered-down copy of a more original reality. Fink’s conception of play encompasses all of these aspects. He understands play as an imaginary, “non-actual” state of existence enacted on the foundation of the actual, lived world. Play is a mimetic, yet also freely-chosen world-bestowal. 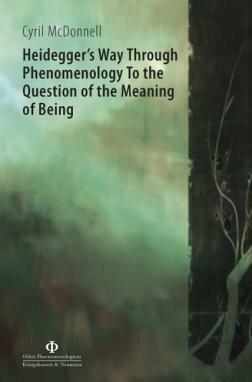 In terms of its ontological status, Fink gives play the Husserlian label “irreal,” in order to indicate its phenomenological quality of fostering a non-actual disclosure of meaning (95-96). One might get the drift from this book’s title that play is the main subject, that the book comprises a work on the philosophy of sport. The opening title pitches the idea that play stands to symbolize world, that there is some illustrative relationship between the former and the latter. But in the end, Play as Symbol of the World is a cosmology, an account of world. In Heideggerian fashion, Fink by and large ends up in a very different spot than where he began the text. “World” for Fink is to be understood in Heideggerian terms. Fink even uses a good amount of space in Chapter One citing Heidegger’s conception of world from Being and Time as he formulates his own position (66ff). World in Fink’s reading comprises the underlying background within which all phenomena appear for the human agent; world both individualizes and contextualizes. Yet world is not a thing, not a substance to which one can assign a definite article. It is not to be understood metaphysically, as the receptacle housing all things of the universe, nor is world the sum total of all beings. World disappears when we try to circumscribe it with a definition. In and of itself, world is meaningless and groundless, and lacking end or purpose outside of its very manner of givenness. In other words, world’s underlying function is simply to foster the appearance of things in general. 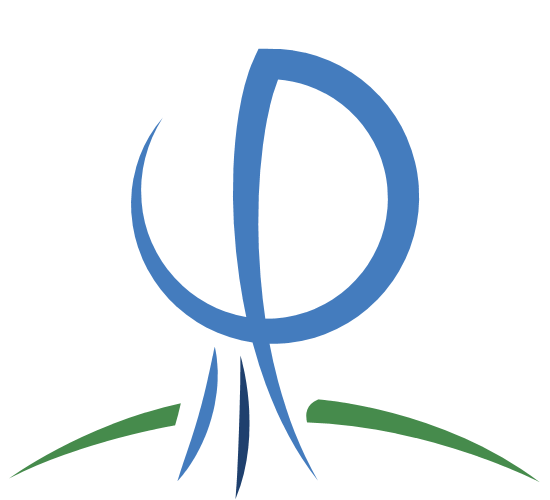 It is thus a crucial counterpart to human existence insofar as all human life is “worldly” or world-oriented. The central position of this book, which Fink articulates in the fourth and final chapter, is that play’s uniqueness lay in its capacity to reveal world (206ff). This is because play (broadly construed as theatrical play-acting, games, sport, or cultic ritual) fundamentally enacts the irreal, groundless purposelessness of world; these features are what play itself is. Play in turn reveals the world-open character of human existence. In other words, Fink suggests, we play because we are open to world and are existentially co-constituted along with world. The hypnotic character of play is universally attractive to all people precisely because play allows us to enact and own world through independent means. Play functions as a unique mode of human existence in which we are empowered to exercise our freedom and realize it reflexively.Yet, these achievements remain irreal; they comprise moments of human existence that are at once non-actual. In this way, play comes to mirror the ontological status of world itself. In the end, Fink does not endorse describing play as a symbol of world, at least in the guise of a metaphor for world’s ontological makeup. More deeply, Fink holds that play manifests a primal connection with world, as expressed in the Greek etymology for “symbol.” The sym- root, in the Greek sum, conveys a togetherness or commonality; the keyword sumballein denotes two or more essentially connected “fragments of being.” Thus symbols do not comprise mere metaphorical comparisons or representations (127). In this case, while play enacts world in an irreal fashion, world cannot be understood as play. At the most, Fink argues, to propose that world is itself an instance of play comprises an antinomy, or at least a problematic that can only be solved outside of metaphysical thought (215). Not only is world incomprehensible as a conceptual whole; even to make this comparison overlooks that human beings are those who play. It would be a contradiction in terms to hold (as Heraclitus suggests) that world plays. 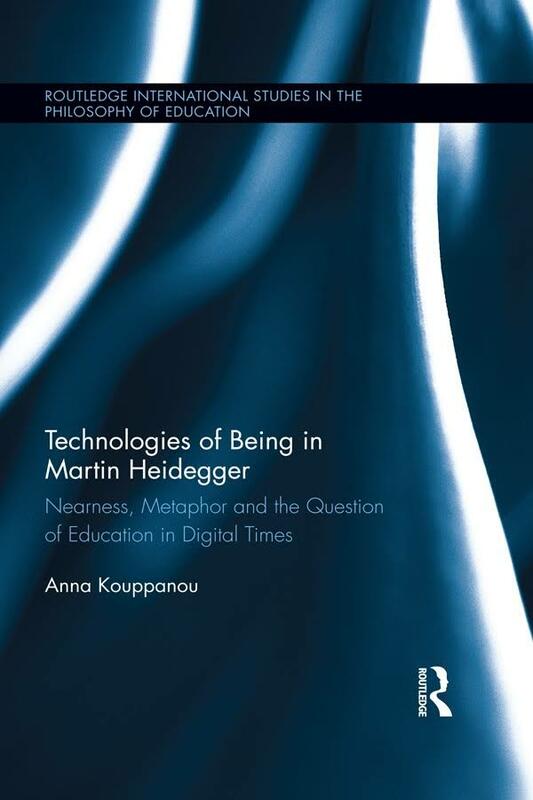 This is a complex and challenging text, perhaps an essential primary source in the history of phenomenology. It is certainly noteworthy for exemplifying a unique crossroads in the legacies of Husserl and Heidegger. Fink’s writing style is occasionally pedantic and shows some repetition as the chapters proceed, but these drawbacks do not detract too much from the book’s accomplishments. This 2010 monograph, by the Freiburg philosopher (published in English translation in 2015), follows his previous work, Gegenständlichkeit: Das Hermeneutische und die Philosophie (Objectivity: Philosophy and the Hermeneutical), which appeared in an English translation in 2011. Although Figal is a major continental philosopher and scholar of the German philosophical tradition, he is perhaps less known outside of European circles, particularly in the Anglo-American sphere. In a perfect world, the present work would make his name more prominent among scholars in the philosophy of art, in both the continental and analytic persuasions. Aesthetics as Phenomenology: The Appearance of Things is an important and potentially major contribution to the philosophy of art, despite some weaknesses that I will outline below. Although this monograph comprises a dedicated work of phenomenology, it also poses some powerful, if unspoken, rejoinders to current trends on the analytic side of aesthetics and the philosophy of art. Figal’s stated aim in the book’s introductory preface is to recover the primacy of the question of art for philosophy at large (1). An implicit assumption on this score is that Western philosophy has slowly neglected the concept of art considered in its own right; this, after the philosophy of art, saw something of a climax in the philosophy of Kant. In its execution, the scope of Figal’s study would be best described as a phenomenology of art, representing all of the best features of phenomenological philosophy: vigorous and provocative questioning of longstanding assumptions embedded in the subject matter, emphasis on description of phenomena rather than argumentation, and especially important for the phenomenology of art, significant engagement with the phenomenon of art arising concomitantly with subjective experience. Indeed, one of the most powerful rejoinders Figal’s book makes to contemporary philosophy of art vis-à-vis leading positions in Anglo-American work, is an emphasis on the temporal, spatial, and generally intermedial character of the experience of art works. Stylistically, readers may find Figal’s prose to contain a mixture of accessibility and density. 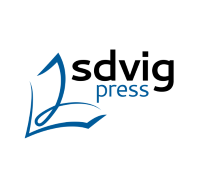 He writes in an often sparse, formal philosophical voice that sometimes leans toward the abstract and theoretical, especially in the book’s first two chapters, though his central position does become more concrete and transparent as the book proceeds. Throughout, however, he also writes with a stately grace and elegance, particularly when weaving between observations formulated in his own philosophical voice and contributions leveraged from the thought of other philosophers such as Kant, Hegel, Gadamer, Heidegger, and Valéry. When his writing is clearest and most engaging, Figal’s style may even strike the reader as very close to Gadamer’s prose in Truth and Method; when it favors the abstract, Figal’s writing may come across as somewhat Hegelian. This book is one for specialists and advanced scholars of phenomenology and the philosophy of art. [T]he beautiful as such is a decentered order that stands for itself as an appearance. A decentered order does not permit of being assigned to any conceptually identifiable object and thus being made comprehensible through this object. The order only exists by appearing. In artworks, this appearance is deictic. Something appears in its decentered order—for instance that which a picture shows, or that which a novel narrates. This something is shown, but only in such a way that an artwork itself shows itself. Artworks do not point to something that exists beyond them and that would be intended by the works themselves. What they show is rather only in them and with them, in the way that they show it (4). Figal’s sustained interest in Kant seems to stem from the observation that the latter’s work represents the last major attempt to describe aesthetic experience in a manner that does not subordinate art and the aesthetic to other ontological categories. Whereas after Kant, philosophers such as Hegel, Schopenhauer, Nietzsche and Heidegger all render the ontology of art in terms such as “spirit” or “truth”, for Figal, this issue is problematic in that such approaches overlook the unique phenomenologico-ontological character of art works. In other words, Figal wishes to describe the ontology of art in a way that is not parasitic on other categories of being, and which instead stems from art’s way of self-showing. In order to appreciate what is controversial about Figal’s aims here, one may consider by contrast the recent text Beyond Art (Oxford University Press, 2014), a major work by analytic philosopher Dominic McIver Lopes, to see how unfashionable essentialist or systematic ontologies of art have become in mainline philosophical circles. Lopes’ book defends the argument that there is no “art” in the sense of an over-arching metaphysical umbrella that pervades both colloquial talk as well as philosophical discussion of art. Rather, Lopes argues, there are merely “arts”, that is, individual art media that share a name but little else. Lopes makes this claim on the ground that key seminal moments in the philosophy of art never made a definitive case for the existence of art as such, but were concerned with issues such as taste and beauty. Other Anglo-American philosophers who have suggested a view in line with Lopes include Derek Matravers (Introducing the Philosophy of Art in Eight Case Studies, Acumen, 2013). Although Figal’s book does not take up such contemporary perspectives, readers may wish to take note of just how radically opposed his approach is compared to these other leading positions. Figal is right to say that art is not the major concept of interest it once was for philosophers. The third, fourth, and fifth chapters of Figal’s book fill out the picture considerably, taking up the topics of art forms, nature, and space, respectively. The third chapter presents the most original and powerful material of the book, with the fourth and fifth mostly serving the role of amplifying Figal’s core position. In the third chapter, Figal proceeds from the observation that art works manifest themselves in certain frequently occurring guises; it is not the case that art manifests itself in random types of human-fashioned objects. Yet at the same time, it is difficult to understand why this happens—it is difficult to comprehend why art historically seems limited to common media like painting, music, and poetry, and offshoots of these three (95-96). Figal addresses this issue with an altogether original and in fact quite stunning account: he suggests that art works share a common foundation by virtue of originating in the ontological overlap of image, text, and rhythm. That is, the forms and thus, the genres that art works exhibit stem from an underlying ontology of “master” categories (129-30). This may sound like a grandiose series of claims to defend, but Figal proceeds in all seriousness, with a citation of Plato to boot. The underlying suggestion is that art works originate as phenomena in the guise of rock-bottom categories, namely, the poetic, musical, and imagistic. This ontology is evidenced by the fact that art works are by and large “mixed” media, phenomenologically speaking. Visual works such as sculptures and paintings can be read as texts, often demanding “textual” analysis. Or at least, it is obvious even to lay reason that visual art always has composition and structure; imagistic works are never comprehended at one glance. Similarly, literary and poetic works tend to exhibit musical structure. Poetry for its part has historical roots in meter and song. And musical works of art have their effect by lending themselves to imagistic meaning or textual reading. The larger point in force here is not simply about interpretation. Figal’s account emphasizes that art works truly consist of these three basic forms, such that no art work can be said to consist solely of any one of them in isolation (138). So the accomplishment of this incredibly rich reckoning is that Figal ends up recasting the ontology of art in terms on the one hand Platonic and on the other hand strongly Heideggerian. 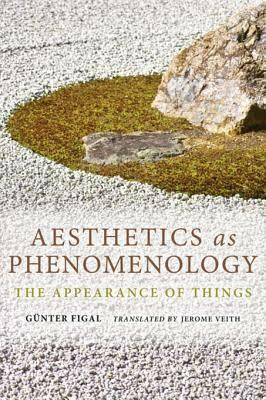 Although Figal devotes significant space throughout the text to critiquing Heidegger’s philosophy of art, especially the “Origin of the Work of Art” and “Building, Dwelling, Thinking” essays, Figal’s overall position comes across as a more thorough and improved version of Heidegger’s phenomenology of art, having its strengths (vis-à-vis Heidegger) in the development of detail and extensive use of examples. Figal’s Heideggerian approach probably also reveals the most prominent weakness of his book’s central position, namely that it seems more successful in the abstract than when one starts to think of examples and problem cases that Figal does not address. For instance, Figal seems mostly uninterested in taking up the hard cases posed by the advent of 20th-century modern art. It seems very difficult at first glance to consider how broadly Figal’s thesis applies to all art; it may be that his thesis only sufficiently describes certain historical instances of great art. Nor does he give much sustained attention to postmodern works in literature or music. From a general philosophy-of-art standpoint, Figal’s appreciation of art seems rather narrow compared to the more inclusive, thoughtful vision of influential philosophers of art like Arthur Danto. In the end it seems that Figal’s understanding of art is quite strongly steeped in the same classical European tropes that occupied Kant, Hegel, and Heidegger. But perhaps this shortcoming can be forgiven, in light of the merit of Figal’s ambition. 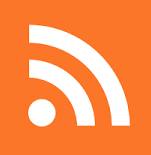 The fourth and fifth chapters exhibit a similar mixture of broad ambition and narrowness of vision, but do not significantly add new content to Figal’s general position. The fourth chapter takes up the concept of nature, in order to engage the historically problematic question of how art works differ ontologically from nature or natural phenomena. Figal presents the notion that art works have their character in revealing nature while also originating in nature (154). Art serves to call out nature in its distinction from the human as well as in nature’s intersection with the human. The paradigm case he uses to illustrate this view is Frank Lloyd Wright’s Fallingwater, a seminal work of an art medium if there ever was one. While Figal’s ensuing illustration is thorough and exhaustive, one cannot help but wonder about its broader applicability to the philosophical issue of distinguishing art from nature. As an example supporting a thesis about art’s contrast with nature, Fallingwater comes across as too singular, and moreover, too convenient and easy to serve the purpose at hand. A similar lack of self-critique seems to pervade the book’s final chapter, which takes up the topic of space. By “space” Figal does not mean three-dimensional, Cartesian space, but instead something akin to Heidegger’s phenomenological accounts of space in terms of nearness and distance. Art, Figal concludes, serves the purpose of defining and articulating human space, such that art works reveal to the human subject a world beyond the boundaries of her own perception. The experience of art reveals to one the limited nature of one’s own person, through the revelation of decentered orders, loci of possible meaning fundamentally beyond oneself (220-221). At this point of the book it seems that Figal is speaking largely metaphorically and in terms too sweeping in order to be very persuasive. This last chapter perhaps works better if read as an outline of a much fuller account to be made. The discussion of space in particular may strike some as akin to an idealism rather than phenomenology. At the same time, this book’s contribution to the philosophy of art should not be ignored, and I hope it will be taken further by others.